ignite cda is an independent, public redevelopment agency serving the city of Coeur d’Alene, Idaho. ignite cda facilitates the ongoing redevelopment of Coeur d’Alene and its districts, ensuring high quality physical environments and a versatile, modern infrastructure, while supporting social well-being and long-term economic vitality. How a great city gets even better. 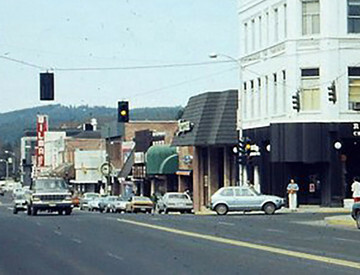 In 1997, the business atmosphere in Coeur d’Alene was a bit sluggish. So city officials did something about it. Inspired by the Local Economic Development Act, passed by the state legislature in 1988, the city in 1997 formed an urban renewal agency to jump-start the economy. 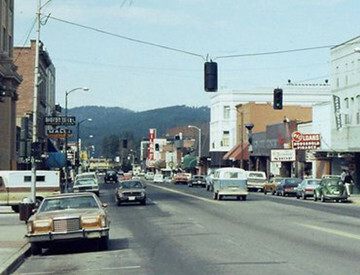 Originally known as the Coeur d’Alene Urban Renewal Agency, the agency decided to assign a DBA, Lake City Development Corporation (LCDC) in 2001. The DBA name was changed to ignite cda in 2015 to more accurately reflect the agency’s mission. To ensure success, board members traveled around the northwest to benchmark other cities’ urban renewal strategies. 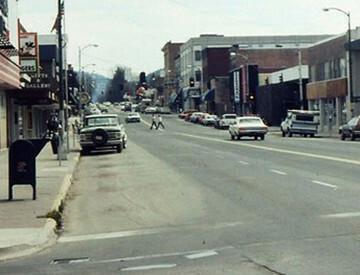 Coeur d’Alene’s focus was initially to review the depressed downtown. This led to the creation of the Lake District, encompassing the city’s core, midtown and areas bordering Northwest Boulevard. The group quickly realized there were other areas of the city that could benefit from urban renewal assistance. Heads turned to an old mill site and gravel pit off Northwest Boulevard—the western gateway to the city. What is today known as Riverstone—a thriving live/work/play development—is perhaps one of the biggest success stories to date for ignite cda. To help revive a portion of that slumbering site, the city created its second urban renewal district, the River District, in 2003. It encompasses a 363-acre area between Interstate 90 and the Spokane River, extending from Riverstone to the city of Huetter. Ignite cda reimbursed the developer for infrastructure improvements required to make the development possible. In the Fall of 2017, the City Council voted to purchase the Atlas Mill Site along the Spokane River and requested ignite cda conduct a more in-depth master plan and financial feasibility analysis to determine if the property qualified to become an urban renewal distict. The purchase of the Atlas Mill site was finalized on May 16, 2018. The new Atlas District was created via ordinance by the Coeur d’Alene City Council in December 2018. The City/ignite cda overall project objective is to transform a brownfield site into a mix-use development with both waterfront and interior public space. 1. Preserve the waterfront area as public space. 2. Create a land development plan that will fund the property purchase, public space and infrastructure improvements through land sale revenue and tax increment funding. 3. Create a unique and desirable community addition that reflects Coeur d’Alene community values.